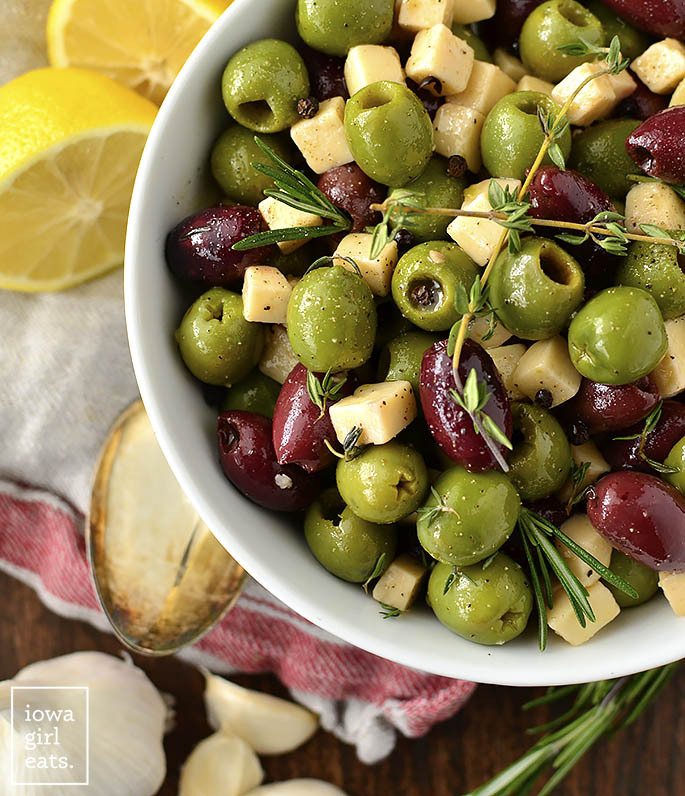 Herb and Garlic Marinated Olives are an easy yet impressive, gluten-free appetizer recipe you can whip together several days ahead of a party or get together. Whelp, I’ve officially become a pregnancy cliche. I don’t remember craving anything in particular with either of the boys, but this little girl has me wanting ALL THE LEMONS. All the salty/sour/tangy things, really, but especially lemon. Although I can’t eat anything at Chick-fil-A, I’ve become a regular in the drive thru at least three times a week for their super sour lemonade. It is liiiiiiiife. By the way, did you know you can order ‘light ice’ at Chick-fil-A to get more bang for your lemonade buck? You’re welcome. 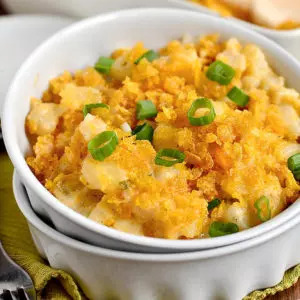 This recent recipe was born out of a lemon craving – heck, I even found myself squeezing lemon juice into a bowl of chicken noodle soup the other day. I have no idea. That said, the thought of marinating mixed olives and parmesan cheese in fresh herbs, garlic, red wine vinegar, and yes – lemon juice! 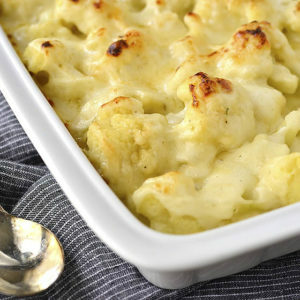 – suddenly came to me last week, and the craving was so intense that I bought the ingredients to make them (translation: sent Ben to the store) a few hours later. Waiting 24 hours for them to marinate was utter torture, but this bright and briny gluten-free appetizer recipe was totally worth the wait! Perusing the mixed olive bar at the grocery store was almost like going to the candy store before getting Celiac Disease. I say “almost” because let’s be real, nothing can compete with a wall of gummy worms. Anyway, now that “bars”, and “bulk” and “bins” for that matter, are no longer part of my culinary vocabulary, I simply make them at home! 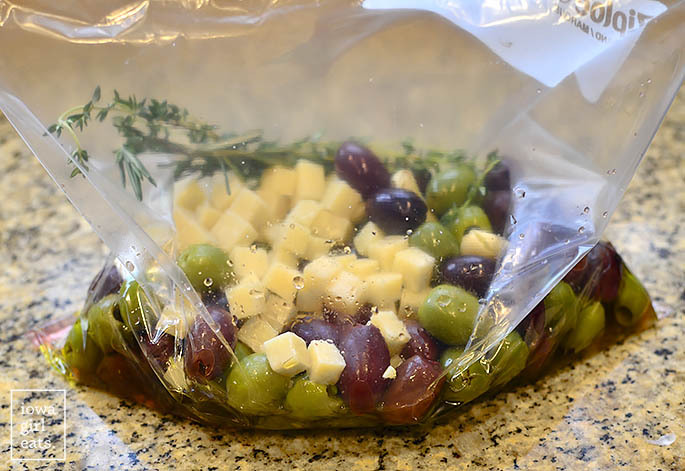 Herb and Garlic Marinated Olives are a cinch to assemble (pour stuff in a bag y’all) plus they’re make-ahead so you won’t be scrambling the day of a party or get-together to come up with an appetizer. 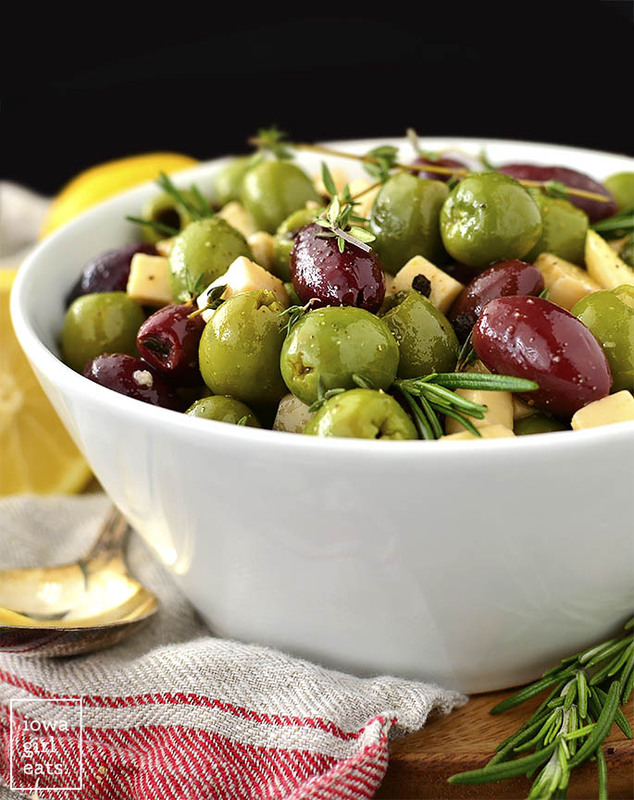 The flavors in the marinated olives just get better and better as they sit, too. Good after 24 hours but even better two or three days later. I made these to photograph last week but life got in the way (2 sick kids, work deadlines like woah, canceled school, yadda yadda yadda) and I wasn’t able to do so until three days after assembling. Totally serendipitous though because I’d been taste-testing them every day up to that point, and they truly got tastier every single day. So that said, assemble these olives in the middle of the week if you anticipate weekend guests, or just keep them on hand in the fridge to snag anytime you need a savory snack. This might be the pregnancy talking, but the only thing that could possibly make Herb and Garlic Marinated Olives any better would be a handful of cornichons. We’ll never know unless we try! Start with olives, of course! You can use whatever kind you like. 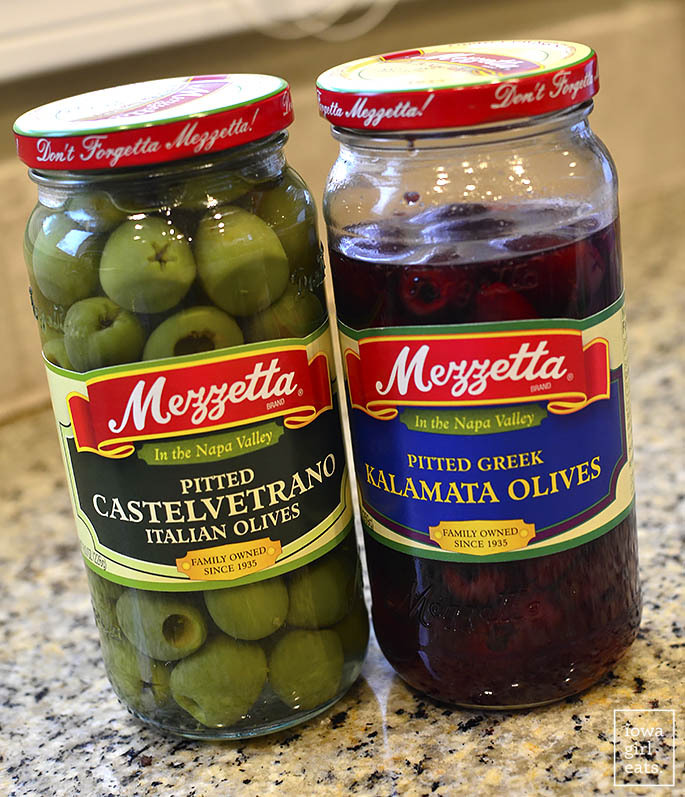 I happen to LOVE these Mezzetta green olives so I used 2 cups of those (basically the entire jar) plus 1 cup kalamata olives. 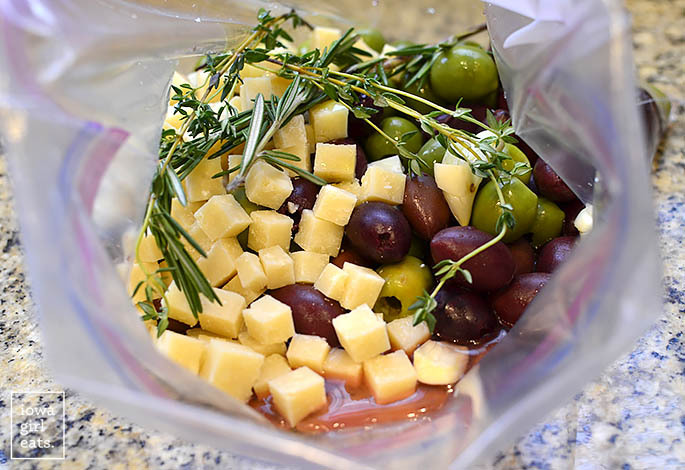 Add the olives to a large Ziplock bag with 4oz parmesan cheese that’s been cut into 1/4” cubes, 3 cloves smashed garlic, 1/2 Tablespoon whole black peppercorns, 1 large sprig each fresh rosemary and thyme, 3/4 cup extra virgin olive oil, 2 Tablespoons red wine vinegar and the juice of 1/2 lemon. Seal the bag up then gently mix to combine and refrigerate for at least 24 hours before serving, rotating and flipping the bag anytime you think about it. If you choose to make the olives three or more days ahead of time, replace the herbs with new fresh ones anytime they start to look a little sad. When it’s time to dine let the bag sit at room temperature for at least 30 minutes, which allows the olive oil to melt, then pour the mixture into a serving bowl with olive tongs, toothpicks, or appetizer forks and go to town. 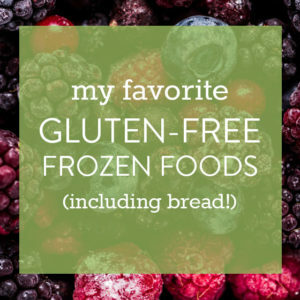 I hope you love this EASY, absolutely delicious gluten-free appetizer recipe! Enjoy! 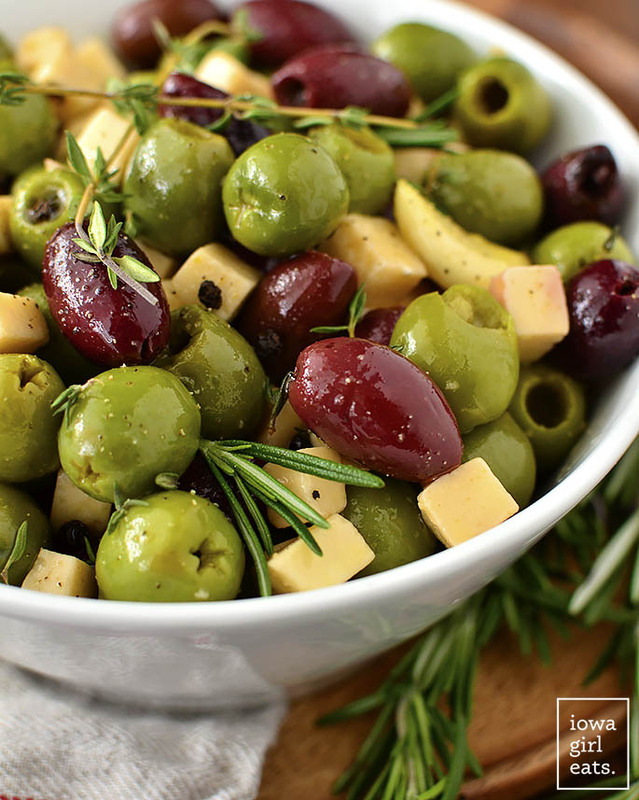 Herb and Garlic Marinated Olives are an easy and impressive, gluten-free appetizer recipe to whip together several days ahead of a party or get together. 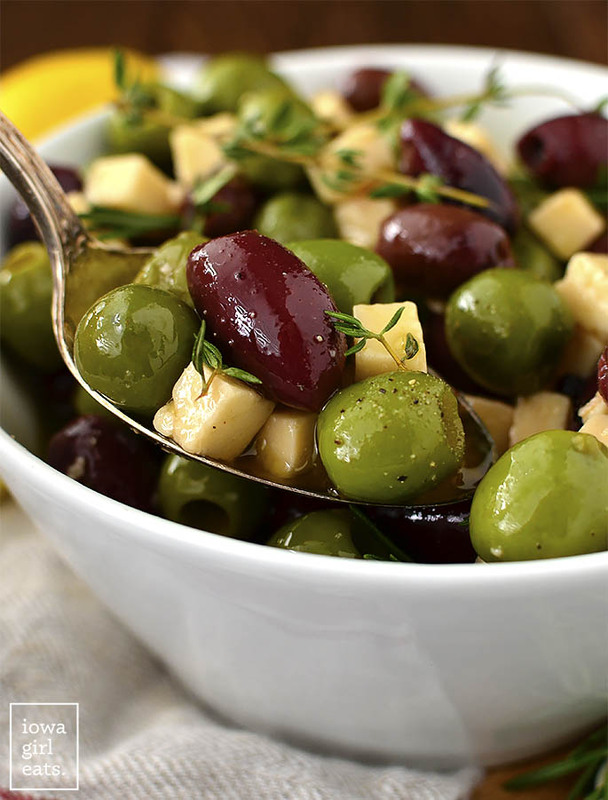 Pour the olives into a bowl then watch your guests devour them! 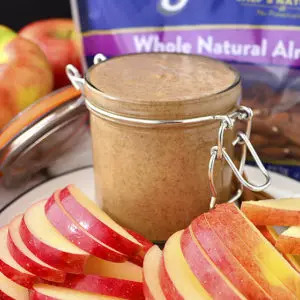 Add all the ingredients into a large Ziplock bag then place inside a bowl (in case of leaks) and refrigerate for at least 24 hours before eating - flipping and rotating the bag any time you think about it. Let the bag sit at room temperature for 30 minutes to melt the oil then pour contents into a serving bowl and serve with toothpicks or tongs. You can make these olives up to four or five days ahead of time. 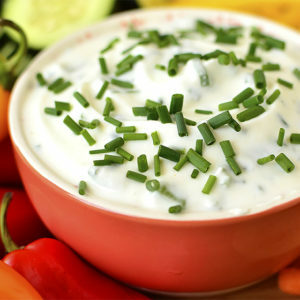 Replace the herbs with fresh ones anytime they look a little sad! Oh my gosh, I CANNOT get enough!!! I’ve had success eating at Chick-fil-A. I usually eat their grilled chicken nuggets and waffle fries. Their fries are cooked in a different oil than the breaded chicken so there isn’t any CC. They have a gluten free bun for the grilled chicken sandwich. They give the bun in a sealed package and you assemble the sandwich yourself (I think it needs to go home and be toasted to be worth the calories). I know with chain restaurants there is no guarantee from one to the other that they will be safe, but so far, (knock on wood) I haven’t gotten sick. Our local CFA did a kitchen tour once and I was thrilled to find out that the fries are cooked completely separate. The chicken is fried differently (pressure fried or something?) so fries should be safe at any CFA. Ours will take procautions with the grilled chicken nuggets when you tell them you have an “allergy” too. I have celiac as well and eat the fries (and polynesian sauce!) at Chick-fil-a without issue. If you also tell them it is an allergy they will change gloves before scooping the fries. So nice to be able to eat fries every once in a while! And yes, the lemonade is the best too! I’m too scared to risk it!! 🙈That’s ok, their lemonade is all I need! Oh my goodness, I used to slice lemons just to smell them! Nothing better! I”m so happy for you, congratulations! I’m about to that point!! Thank you, Kristan! 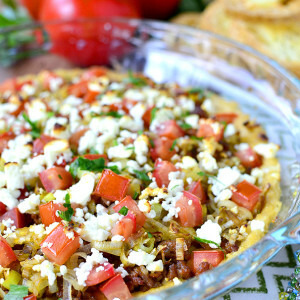 This is such a great looking appetizer! I know it will be on the “get the ingredients list” for me! Hope you love it, Shirley! Have you tried the Lemon Olive Oil that HyVee carries? It is so good, I use it in everything. Heading next door to your old house in a few minutes. I let their dogs out on Tuesdays. Life was so different for you when you lived here, seems like yesterday, yet a lifetime ago. Your boys are adorable and congratulations on Baby Girl!! Oh my gosh, it does seem like a different lifetime entirely – so crazy! We still drive by occasionally – I love the new house color! Lemons are life!!! I was wondering though do you drain the brine from the olives or are you adding the olives with the brine in this recipe? I read your announcement last week and wanted to congratulate your family on your newest daughter and baby sister. Have you also tried Chick Fil-A’s Frosted Lemonade? Thank you so much!! And NO!! Holy cow, I had no idea they had a frosted version. That will become a summer staple, I’m sure! That’s exactly what I craved with my girls too! I frequented Chick Fil-A for the lemonade too! How funny. Congrats on your baby girl! I’m also pregnant… due in August with my first. I’m not craving lemons but I did have a really good mocktail last weekend. It was lemonade and ginger beer, definitely worth a try especially with a lemon craving! Oh yeah! These are happening for Easter! Wohoo! Perfect occasion for them! 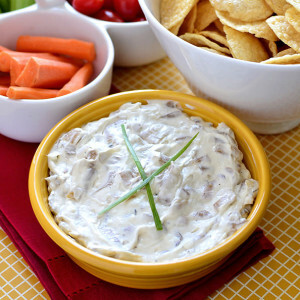 Such an easy appetizer!! Lemons are one of the better cravings from the other things I have heard!! Haha! These look…amazing. How do you feel about incorporating the brining liquid into a vinaigrette or nah? Oh yeah – super delicious!! I am shuddering at the thought of that lemonade-it is WAY too tart for me!! I have only ordered it once but I seriously added about 4 sugar packets to it and couldn’t finish it even then! :0 I can’t say anything though, when I was preggo all I wanted was mister mistys from DQ and actually CRIED one day when the machine wasn’t working. Yep. These olives looks super yummy though! Haha! You’re right – it is soooo so so tart! You’re talking to the girl who just doused some pre-made tuna salad in mustard the other day before eating with chips though – I am ALL about sour/tart foods right now! Made this for one of the appetizers for a little Oscars party I had this weekend. Soooo good! And it looks fancy, but it’s so easy. Perfect occasion for it!! So glad you loved them!